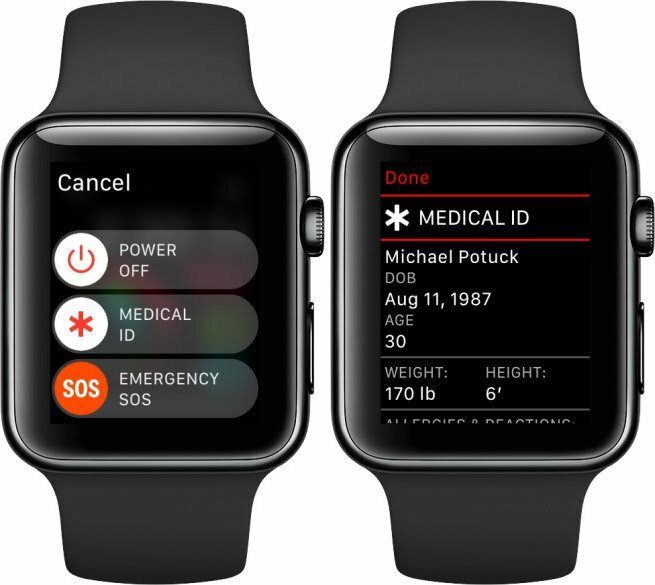 Wondering how to set up your Medical ID or ICE Contact on your new #AppleWatch? As long as you have your iPhone handy, it couldn’t be easier. One of the best things about the Apple Watch is that whatever information you put on your iPhone syncs up perfectly with your watch. Which is great news when you’re setting up your ICE Contact and Medical ID. There’s nothing worse than trying to type on a tiny little screen, right?If you’ve already set up your ICE Contacts and Medical ID on your iPhone, you’re already set. All you or a hospital has to do is press and hold the side button on your watch. 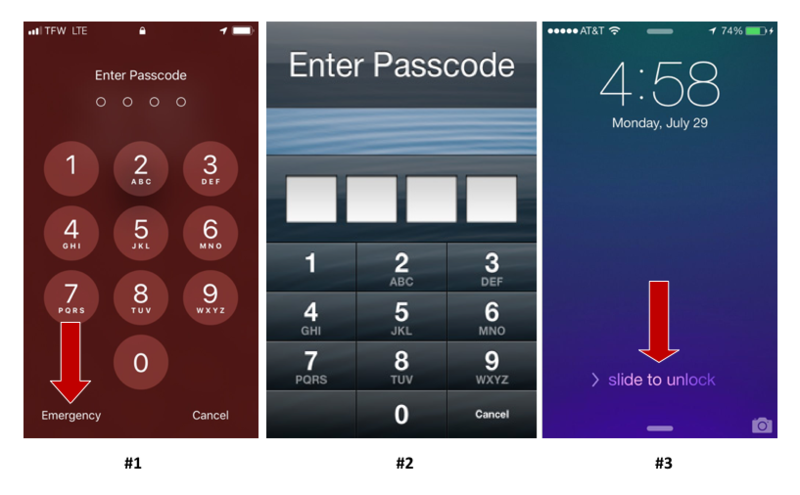 The Medical ID slide button will appear. 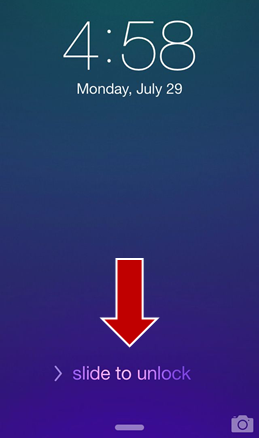 Just tap it and you’ll see your Medical ID information. Scroll down to emergency contacts, to view any ICE Contacts you added to the Medical ID on your iPhone. If you happen to be a medical professional or a first responder, this is a great way to find an unconscious patient’s medical and emergency information. But what if you haven’t set up your ICE Contacts and Medical ID on your iPhone yet? Not to worry! Here’s how to do it the RIGHT way, in just a few minutes. As much as we love Apple’s Medical ID, there are two reasons you still need to make a regular ICE Contact, to use along with it. Number 1: You can put an unlimited amount of vital information into a regular contact. Number 2: Hospitals are used to looking for ICE Contacts rather than Medical ID and if you don’t have a regular one, they might miss it. And with the way the world has been the last few years — remember Hurricane Harvey, Hurricane Irma, Maria and the California Ranch, Camp, Thomas and Carr wildfires — having an ICE contact is an awesome way keep your family safe and connected no matter WHAT is happening around you. Below, you’ll find everything you need not only to set up your Medical ID the RIGHT way, but the ICE Contacts that go along with it. All of the contact info for your two (or more) emergency contacts. A list of your allergies. Any other information you would like an ER to know about you. Grab your phone and let’s get started! 1. Put the word ICE, all capitals, in the First Name field. Don’t type anything else in this field! 2. Put your ICE Contact’s full name and relationship to you in the Company field, ie John Smith – Husband. 3. Type in every phone number you have for your contact. 4. Type in all of your contact’s email addresses — again, every last one. 5. Type in all of your contact’s social media handles/user names. You never know what will be up and running in an emergency. Many people have reached loved ones on Facebook and Twitter, when cell phone and landline service was down. 6. All of your own allergies, medications and medical history go in the notes section. Even better capitalize the words ALLERGIES, MEDICATIONS etc to ensure that they’re seen. 7. Add your physician’s names and phone numbers in the notes section and if you like, a link to your own Medical History Form. If you don’t have one, you can borrow one of ours. 8. Is your contact in different locations on different days? Add that in the notes section as well. 9. Instead of their photo, add an ICE Contact Graphic to the contact to make it stand out. Go to our Free Resource Page to find one you love. 10. And finally, never put your social security number or insurance member number into your ICE Contact. You can add the name of your insurance company and customer service number, but the actual numbers can wait until later. 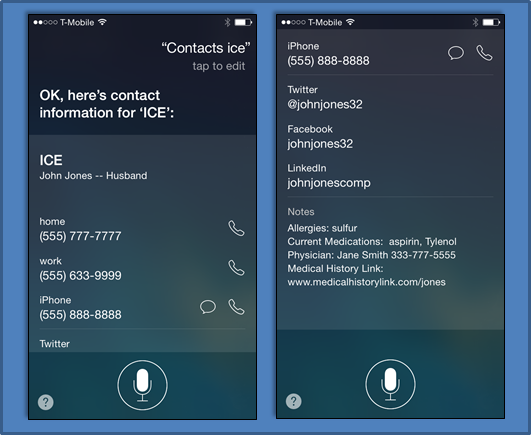 And now, let’s make your ICE info even easier to find, by setting up your iPhone’s Medical ID. Don’t forget that you can fill in your ICE Contact on your Mac or iPad. Not only is it easier to type on a larger screen, but once you save it to your contacts, it will sync with iCloud and appear right on your phone. Medical ID, a part of the Apple Health App, not only gives you a place to put your emergency medical information, but it puts a link to that information right on the front of your phone, where it can be viewed by a hospital even if your phone is password locked. You’ll find it on most iPhones (iPhone 6 and up) using iOS 8 and higher. If your phone is older and doesn’t have Medical ID, you can just leave your ICE Contact the way it is. On your home screen click on the Health App – it’s the one with the heart on it. This will take you to the Dashboard page of the Health App. On the bottom right of the screen, you’ll see the Medical ID icon. Click on it. The most important part of the Medical ID screen is at the top. It’s the On/Off Switch that shows a link to your emergency information on the home screen of your phone even when it’s password-locked. Before you do anything else, switch this to the ON position. It will turn green like the graphic below. By the way, none of the information in your Medical ID is shared with any of the other apps on your phone. Put all the information you possibly can into your Medical ID. As you can see it already has fields for your birth date, medical conditions, allergies, current medications and other information. There are two sections that you need to pay special attention to – Medical Notes and Add Emergency Contact. After you finish filling in the regular fields, use the Notes Section to list anything that didn’t fit into them, like the names and phone numbers of your physicians and healthcare providers and contact information for your Insurance Company. Again, don’t add any sensitive personal information like a social security number, insurance member ID number or financial information. You can also place a link to your Medical History Form in the Notes Section to give emergency personnel to quick access to your medical history until your emergency contact arrives at the hospital. When you click on Medical ID’s Add Emergency Contact button, it will show you a list of your contacts, so you can choose the people you’d like to add to your Medical ID. That’s why we had you set up your ICE Contacts first. Go ahead and click on the button and choose your first ICE Contact. If you have additional ICE Contacts (a smart idea, in case your first contact is unreachable), then click on the Add Emergency Contact field again to add as many additional people as you would like. Want to save time turning your husband or wife’s contact into an ICE Contact? Simple! Just tap & hold the contact you want to use, choose share and email it to yourself. Then open it in your email, make the changes from above to turn it into an ICE Contact and save it to your contacts as ICE. While you’re here, be sure to check out our other posts like How To Put An ICE Contact On Your Samsung Galaxy, Android or Window’s Phone (you’ll find the links below), to learn EVERYTHING you need to know about ICEing nearly any type of phone. Want to download these instructions for later? Just click here and save them to your computer. Having an ICE contact and Medical ID is an awesome way keep your family safe and connected no matter WHAT is happening around you. What if I told you that you could put an ICE Contact on your iPhone with everything it needs to have in it to save your life, in 2 MINUTES FLAT? Would you grab your phone and go for it? Of course you would! In fact, even if you already have an ICE Contact on your iPhone, I guarantee that you’re probably missing a few key things. And with the way the world has been the last few years — remember Hurricane Harvey, Hurricane Irma, Maria and the California Ranch, Camp, Thomas and Carr wildfires — it’s more important than ever! Having an ICE contact is an awesome way keep your family safe and connected no matter WHAT is happening around you. Whether you have an iPhone 6, iPhone 7 or a brand new iPhone X or XS Max, here is a quick and easy way to put a basic ICE Contact on your phone in just a few minutes. Do you password lock your phone? If so, you’ll also need to set up the Medical ID on your iPhone. It’s the only way that a hospital will be able to view your ICE Contact while you’re phone is locked. Once you’ve finished your ICEing your phone, set up the Medical ID on your phone, by clicking on the Health App (that’s the app with the heart that comes pre-loaded onto your phone). Then attach your ICE Contact(s) to the Medical ID so they’ll be easy for an emergency room to spot. If you need instructions, you can find them right here on the blog. 1. Put the word ICE, all capitals, in the First Name field. 2. Put your ICE Contact’s full name and relationship to you in the Company field. 5. Type in all of your contact’s social media handles/user names. You never know what will be working in an emergency. Many people have reached loved ones on Facebook and Twitter, when cell phone and landline service was down. 6. Your own allergies, medications and medical history go in the notes section. Even better capitalize the words ALLERGIES, MEDICATIONS etc to ensure that they’re seen. 7. You can also add your physician’s names and phone numbers in the notes section and if you like, a link to your own medical history form. If you don’t have one, you can borrow one of ours. 9. Instead of their photo, add an ICE Contact Graphic to the contact to make it stand out. Here are a few to choose from. 10. And finally, never, ever put your social security number or insurance member number into your ICE Contact. You may put the name of your insurance company and their customer service number in if you like, but as long as your emergency contact comes to the hospital and can provide that information, it’s probably not necessary. And there you have it. One fully loaded ICE Contact. Two Minutes. While you’re here, be sure to check out our other posts like How To Put An ICE Contact On Your iPhone, or How To ICE Your Samsung Galaxy to learn EVERYTHING you need to know about ICEing your phone. And while you’re feeling proactive, don’t forget to put ICE Contacts on your spouse’s and kid’s phones too, along with each other’s contact information. If you’d rather download the information to take care of your phones later, you can download it right here. Everyone is always telling you what you need to put into your ICE Contact, but it amazes us that they never mention what NOT to put into it. Maybe they simply don’t know… So I guess it’s up to us to set the record straight. Never, never, never put your Social Security Number in the ICE Contact on or iPhone. Or in your iPhone. Or in your wallet or any place else where you could misplace it, lose it or where others can see it. A hospital will either wait for your family to bring it in or can get it from an old record or other legal source. So just leave it where it is, hopefully in a nice secure place at home, like a locked safe. Your insurance member number. Too much personal information is linked to that number to toss it into your phone. In fact if you have Medicare, your Medicare Member Number is usually based on your Social Security Number. If you want to include the name of your insurance company in your ICE Contact, that’s fine, but the actual member numbers or other information can wait until your family has arrived or you have regained consciousness. Social Security Cards and Insurance Member Numbers belong in a nice secure place at home. That place does not include my phone, my ICE Contact or my wallet. They only time these cards should EVER leave the house is when I’m going to a brand new doctor or to the hospital under my own power, after which they shall return back home to their safe, secure place as quickly as possible. Need More Room In Your iPhone ICE Contacts? Need More Room In Your ICE Contacts? 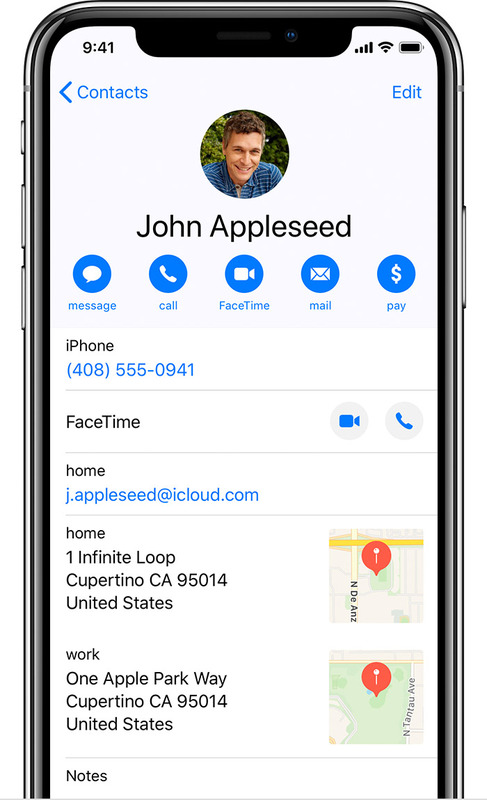 Like most smartphones, your iPhone lets you change, add or create fields inside the contact, so that you can customize it as much as you like. In general, all you need to do is touch and hold the name of the field that you want to change. This will bring up a menu of alternate field names to choose from, including the option to Create Your Own Field, so you can add whatever information you need. But what about information that doesn’t fit into an iPhone field? That’s when you turn to your new best friend – the Notes section. Notes holds quite a bit of information like your Allergies, Current Medications or the Names & Numbers of your Physicians. So if you run out of room in the regular fields, simply put the rest of the information you need to communicate, in there. While you’re here, be sure to check out our other posts, How To ICE Your iPhone and How To ICE Your Samsung Galaxy to learn everything you need to know about ICEing your phone. And while you’re feeling proactive, don’t forget to put ICE Contacts on your spouse’s and kid’s phones too, along with each other’s contact information. Introducing… The ICE My Phone Kit! Bulk orders & customization available for your company/organization. Contact us for more details. Do the airline check-in clerks greet you by name — in five different cities? Does every hotel already have your refrigerator stocked with your favorite snacks and beverages before you arrive? Then this blog post is for you. As a writer/producer, one of my favorite things about developing a new movie or television series is the team that comes along with it. It’s so nice to have people around to handle the little things, whether it’s putting together production schedules or making sure my contacts are synced up to my smartphone. On the other hand, it’s so easy to get used to having people to handle everything for you, that it’s simple to overlook the things you really do need to do for yourself. Like set up an ICE Contact on your phone. Or to make sure that you have everything you need at your fingertips to handle an emergency, whether you’re with your staff or completely alone. After writing three books that have kept thousands of families and their keepsakes safe and sound, heading up business continuity planning for the Wealth Management department of a Fortune 500 bank and having been through some pretty “interesting” situations of our own, my writing partner and I have learned one thing. You never know when or where you’ll be, when you suddenly need to put out all the stops to get yourself out of a hairy situation. So here 9 ways to stay safe while traveling abroad — some of our favorite tips to help you and your family, stay safe and secure, no matter where your travels take you — even if it’s only a few miles from your front door. 1. 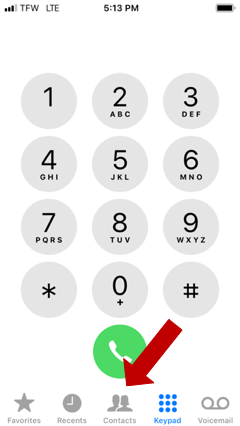 Pre-program the emergency number for the country you’ll be visiting into your phone before you leave, along with local numbers for your country’s embassy and any other emergency assistance numbers. 2. Always leave an assistant, a colleague and your spouse (or if he or she is going with you, a close relative) a copy of your itinerary with local contact numbers. Be sure to send updates if that information changes. 3. Carry two portable chargers for your smartphone and other electronic devices with you at all times, ensuring that one of them is always completely charged. 4. If you travel around the world frequently for business, you need to have four ICE Contacts on your smartphone. The first should be your spouse or significant other, the second a close relative or friend. The third contact should be your attorney or business manager and the fourth, a business partner or colleague who can attend to matters if you are temporarily incapacitated or in a location where telecommunications are down. Name the first two ICE Medical 1 and 2, then name the others ICE Legal and ICE Business. 5. Scan all of your vital documents, treasured photos (both family and business), keepsakes, awards and anything else that is important to you and place the scans on portable hard drives in at least three secure locations. If you haven’t already done so, place the originals of your vital documents in a waterproof/fireproof location. 6. 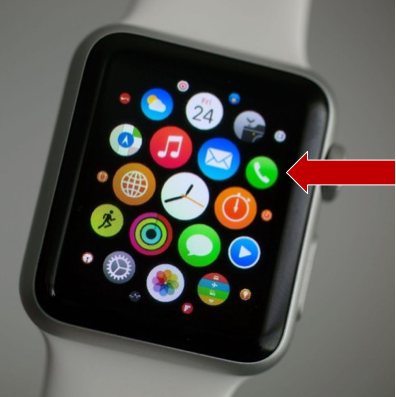 Make sure that the members of your immediate family have ICE Contacts on their phones, as well as any electronic devices that they usually carry, such as an iPod Touch or smart watches. If you have an iPhone 6 or iPhone with iOS 8 and Medical ID, make sure that it is filled in as well. 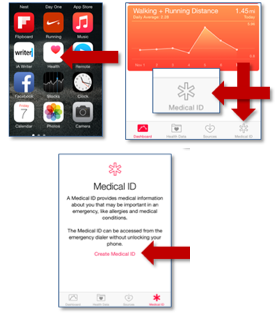 (How To Create An iPhone Medical ID) And if you want to go one step further, they can place a link to a medical history synopsis into the contact, that an emergency physician can use to treat them until a family member arrives on scene. We have medical history forms on our blog and with our books, if you need them. 7. Make sure that you have your spouse’s emergency information in your phone and vice versa, in case you ever need it quickly. 8. If your spouse and children are travelling with you in an unfamiliar country, consider downloading the Find My Friends app. All you have to do is add their smartphones to the app and you’ll be able to see exactly where they are along with directions to their location. 9. Always give yourself a way out. As much as you appreciate your staff, don’t assume they’ll always be right there to help you deal with an emergency situation. You got where you are today by strategic thinking and planning, so make sure that you have the tools you need to deal with any situation that arises. 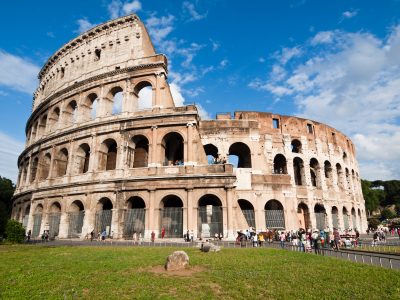 For even more information, check out our blog post, How To Stay Safe During International Travel.